XTRATUF Chumrunners – First Impressions | FISHING FURY - A Fishing Blog with Attitude! I like how the pattern on the bottom is also on the back of the shoe. I don’t think the design looks boring at all. I really like how the shoe looks. They might be fishing shoes, but I wouldn’t hesitate to slip a pair of those on with a pair of jeans or khakis and decent shirt for a casual night out. these look like a nice pair of fishing shoes.Would be very comfortable. 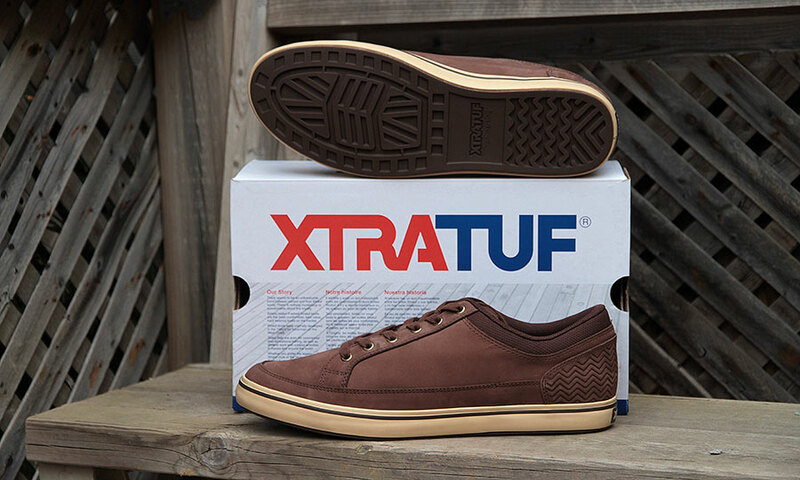 Does anyone online know if anyone has or will have any more men’s XtraTuf Chumrunner shoes in stock in size 12. I’d like to buy a couple of pairs. Thanks.